The antibiotics and Secondary Metabolites Analysis SHell antiSMASH is a fully automated pipeline to mine bacterial and fungal genome date for secondary metabolite biosynthetic gene clusters (BGCs). The small molecules encoded by these BGCs often have various bioactivities including antimicrobial, anti-cancer, anthelminthic and others. Therefore they are lead compounds for many drugs like antibiotics. 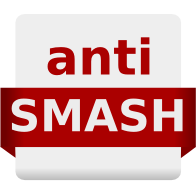 Please use the Contact Form at the antiSMASH homepage.